Big Blue 1840-1940: How did my collection grow this past 2017 year? Chile 1862 Scott 13 20c green "Columbus"
Every year at this time I like to see where I have been, and where I am going with my collection. To recall, the "classical era" limit of my WW collection is 1840-1940, with an extension for British Commonwealth through 1952. The ultimate collection, 100% filled, would have 83,458 (Scott major number) stamps. Needless to say, that, is an unattainable goal, but the fun is the journey along the way! The stamps are kept in "Deep Blue", the name for my 6,500 Steiner album pages, presently in 1 Palo, 20 Vario G, and 36 Vario F binders. I added 1 Palo, 10 Vario G, and 17 Vario F binders this past year, while replacing 22 Avery binders. But additionally, I keep track of (and actively collect as a realistic goal) all the stamps that will fit into Big Blue, the Scott International Part I 1840-1940 album - some 34,903 spaces. My "virtual" Big Blue collection, housed within Deep Blue, is based on the checklist I have developed for the stamp spaces in BB. Well, how did I do in 2017? 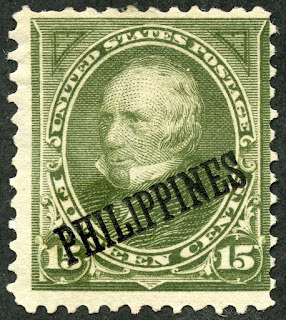 To recall, the 2015 year started with 39,632 major Scott number stamps, and ended with 42,734 - a 3,102 stamp increase. With the 2016 year, I added 4,133 stamps to Deep Blue, for a total of 46,867 stamps. This past 2017 year, I added 1,672 stamps to Deep Blue, for a year end total of 48,539 stamps. My Deep Blue currently has 58% of the spaces filled with stamps. What about the virtual Big Blue? My virtual Big Blue collection increased in 2015 from 26,087 to 28,134 stamps, a 2,047 stamp increase. 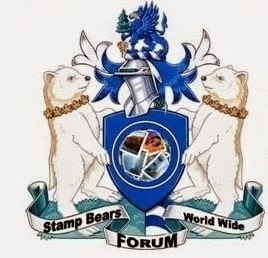 And for the 2016 year, the virtual Big Blue ended with 29,657 stamps, a 1,523 stamp increase. This 2017 year, I added 596 stamps to the virtual Big Blue, for a total of 30,253 stamps. Hurrah, I have crossed the 30,000 BB milestone! In total, Big Blue is 86.7 % full. 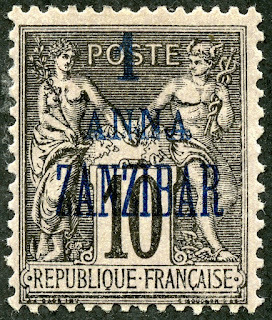 I will make a comment about adding fewer stamps overall this past year for the classical era in the "Out of the Blue" section. Now, back to the task at hand - how did my WW collection specificaly grow by country count during the 2017 year for the 1940-1940 (-1952 British Commonwealth), understanding the growth was from feeder albums, rather than want lists? And here is the list of the top countries added for 2017 from feeder country albums. 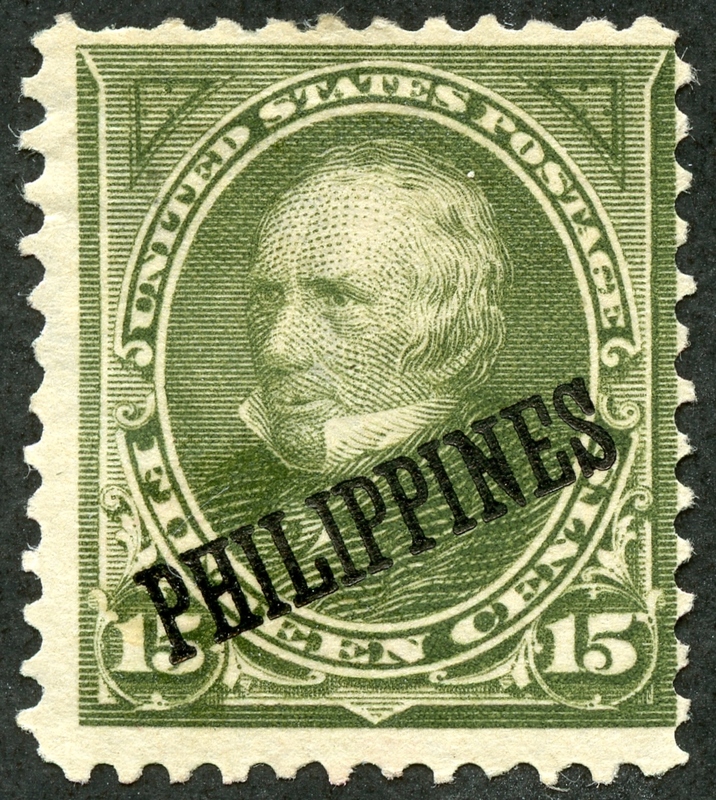 Philippines 1899 Scott 218 15c olive green "Clay"
I obtained a country collection of the Philippines. and from that, added 147 stamps to Deep Blue. 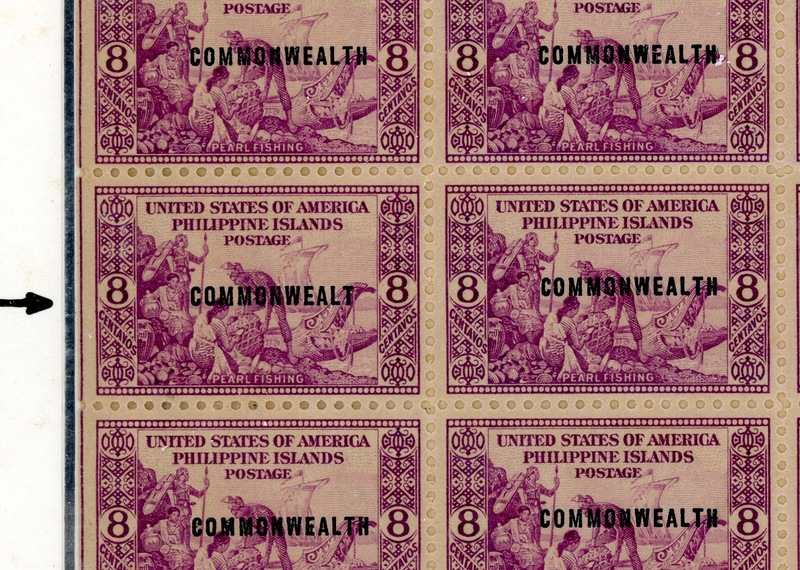 I also added 21 stamps to the virtual Big Blue, which completed the Philippines spaces. 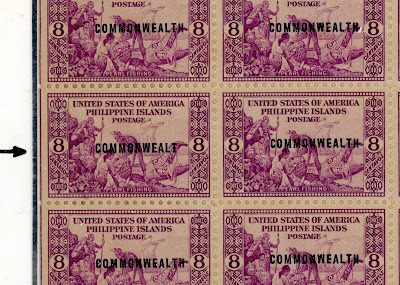 Philippines 1938 Scott 436a 8c violet "Pearl Fishing"
Enclosed in the Philippines country collection was a sheet of 1938 Scott 436 8c violet "Pearl Fishing" stamps. 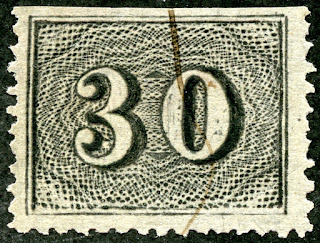 But position 31 of the sheet reveals the missing "h" overprint error (Scott 436a), a CV $90 stamp. ! 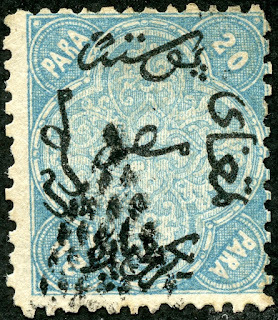 A Scott Specialty album of France yielded 93 stamps for Deep Blue, and 25 stamps for the virtual Big Blue, all from the French "Offices" section (mostly from China). The rest of the album awaits pillaging in 2018. !! 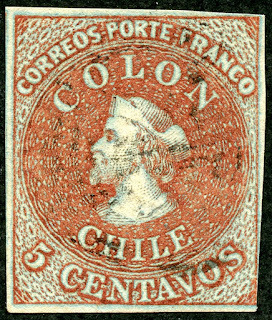 Chile 1855 Scott 8 5c brown red "Columbus"
I've said before that those that don't join a local stamp club are missing out on serendipitous possibilities that arise, especially for WW collectors. 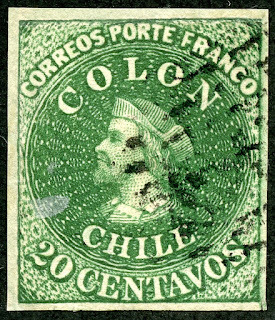 I obtained a very nice Chile collection at single digit CV rates from a fellow club member, who is a part time local dealer. I harvested 82 stamps for Deep Blue, and 18 stamps completed the virtual BB Chile spaces. 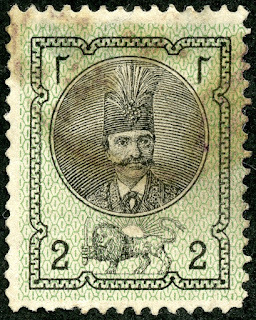 Back when I was in my twenties, I had one of my periodic flares of interest in WW stamp collecting, and bought from a dealer in Duluth, Minnesota, a Persia,collection. That served as the basis of my Deep Blue/Big Blue holdings for Persia when I rekindled my interest big time in 2011. 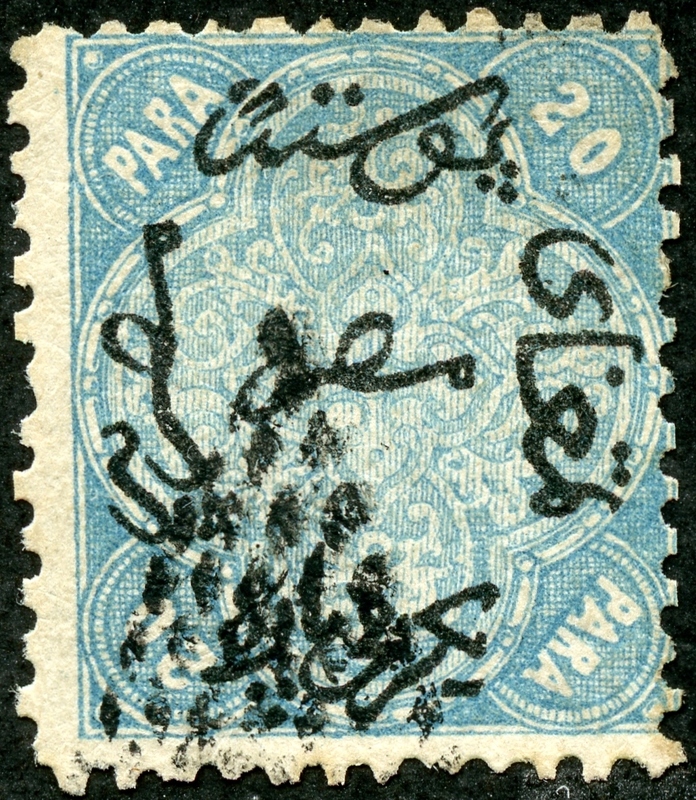 That was until this year, when a second Persia (Iran) collection was obtained, yielding 73 stamps for both Deep Blue, and the virtual Big Blue. 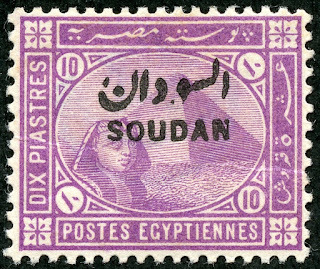 One of my favorite countries to collect is Egypt. 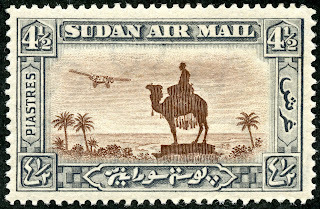 I obtained an Egypt (and also Sudan) collection in a fine Palo album this year, yielding 71 stamps for Deep Blue. 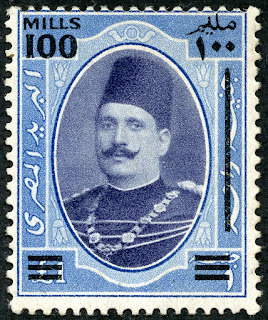 The album also produced 13 stamps for the virtual Big Blue, within one of completing all the spaces for Egypt. A Brazil/Bolivia Minkus country album has awaited attention for several years, and I finally got around to it. I found 56 more stamps for Deep Blue. 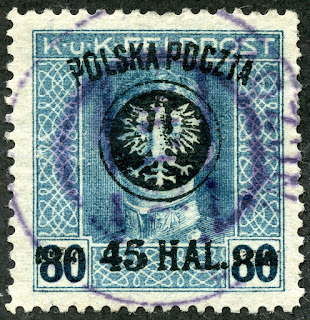 For the virtual Big Blue, 2 stamps were added, leaving only 2 spaces not filled out of 274. I do have a question for readers. 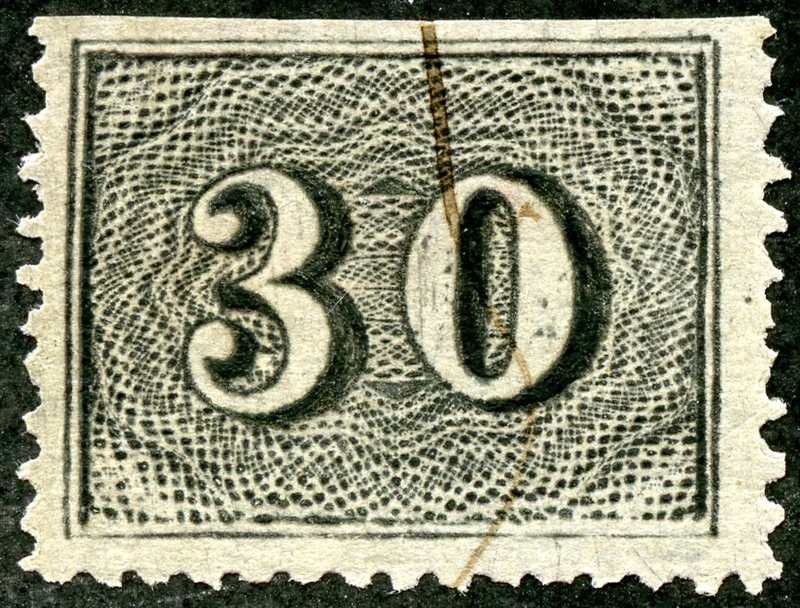 I have two Brazil stamps- the 90r black (shown above) and the Scott 2 60r black - that are significantly clipped on the upper right corner. Obviously that decreases the CV (for the 90r, $1,300), if they are genuine, to probably less an 5%. But why were they clipped? Remainders? 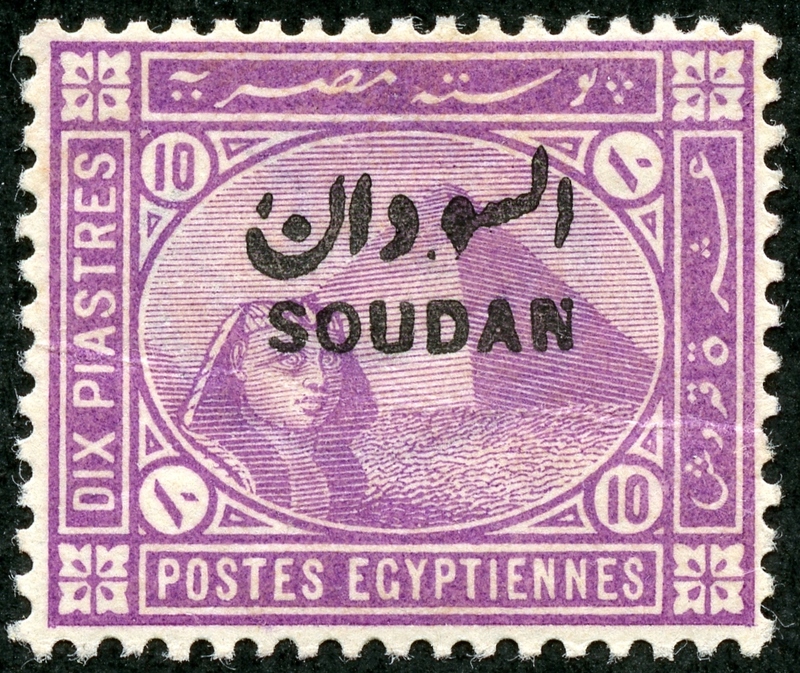 Sudan 1897 Scott 8 10p violet "Sphinx"
The Palo album for Egypt also housed Sudan stamps. I harvested 56 stamps for Deep Blue, and 15 stamps for the virtual Big Blue, completing all the spaces. "Statue of Gen. C.G. Gordon"
The Palo album I have follows exactly the layout of Deep Blue (Steiner), except on a much larger page. In March of this 2018 year, I will do a comparison review of Steiner/Palo for those with an interest in this topic. The most significant purchase for the year was a quite fine Iceland collection. 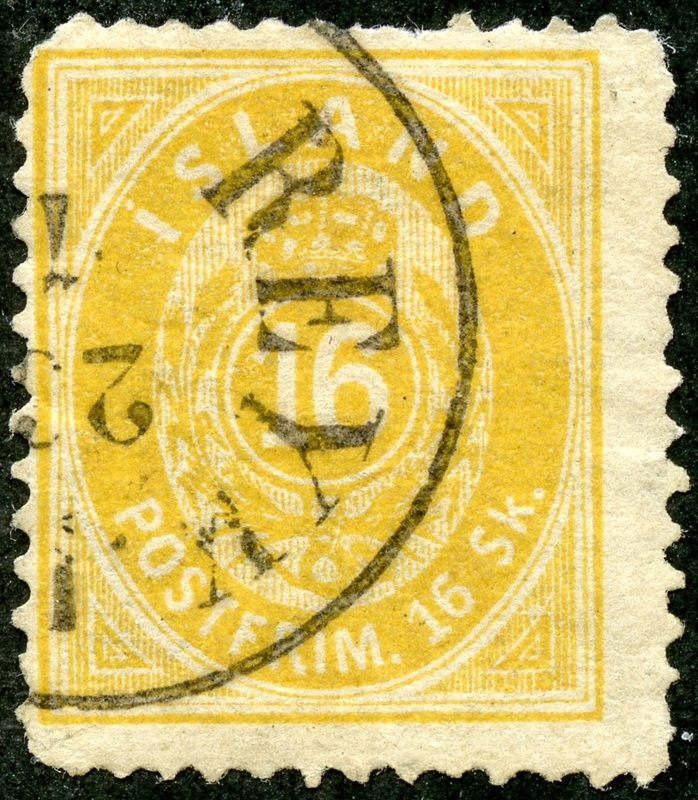 This added 51 stamps to Deep Blue, and 2 stamps to the virtual Big Blue, filling all the Iceland spaces. A note about the 16 Skillings yellow shown here: Whether this is a genuine cancel (CV $3000) vs a false/favor cancel (CV $575) makes a lot of difference. 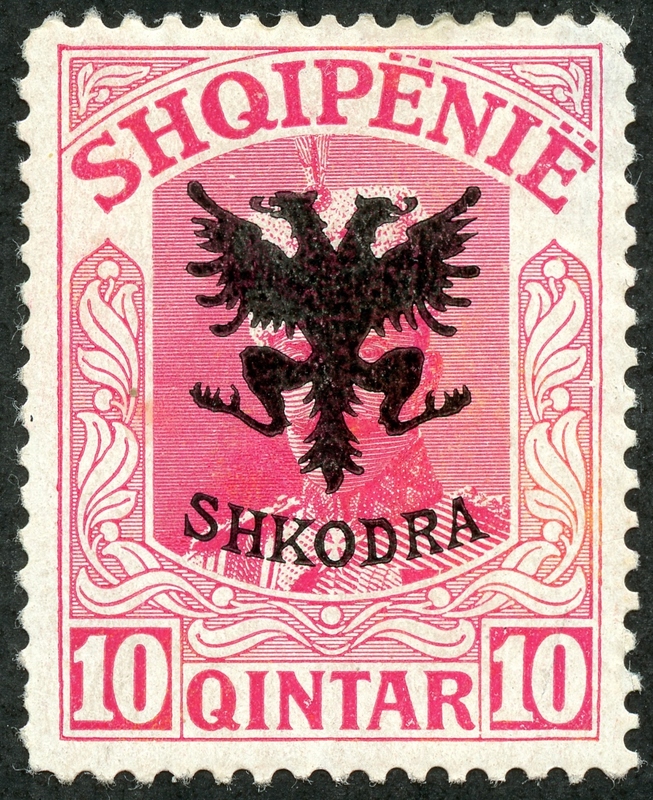 Albania is one of those countries that I find it difficult to find stamps for, or perhaps it may just be that I have other priorities, and Albania is an afterthought. 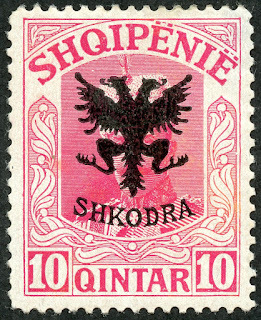 Nevertheless, I found a good (but not great) Albania collection, that yielded 48 stamps for Deep Blue, and 2 stamps for the virtual Big Blue. A reality check shows I have 70 spaces filled in Big Blue, but there are still 43 empty spaces. If one would like to appreciate full pages for Albania, take a look at Bud's astounding Big Blue album. 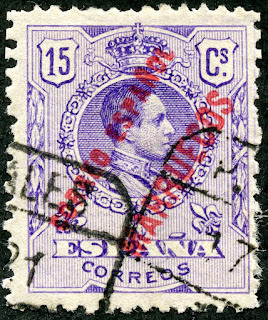 Spanish Morocco 1909 Scott 17 15c violet "Alfonso"
Although the majority of stamps added this past 2017 year was through feeder collections/albums, an exception was Spanish Morocco. I found 41 stamps for Deep Blue, and since I was working from a "Big Blue' want list, also 41 stamps for the virtual BB. I now have, for the virtual BB, 95 spaces filled, and 39 spaces to go. !! Poland is a favorite country of mine, perhaps because I admire the historical spirit of the Polish people in the face of Nazi Germany oppression and communist rule. So when an opportunity came up to buy a Minkus Poland country album, I did so. I found 33 stamps for Deep Blue, and added 3 stamps to virtual big Blue. I now have 344 spaces filled, but still lack 11 spaces in BB. 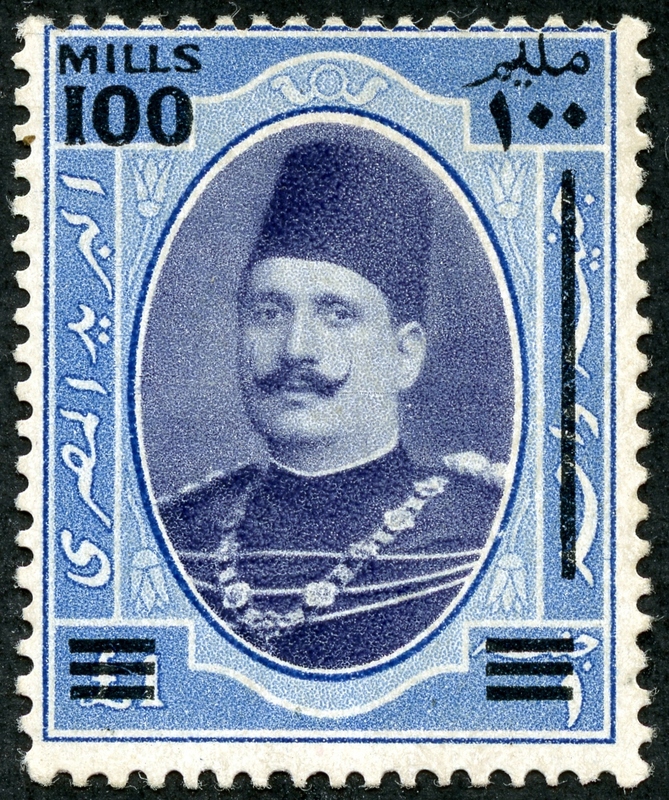 Egypt 1932 Scott 167 100m on 1 Pound "King Faud"
"I fully expect not to do as well this coming year with my classical era collection. I think another 4000 stamp increase is unrealistic. 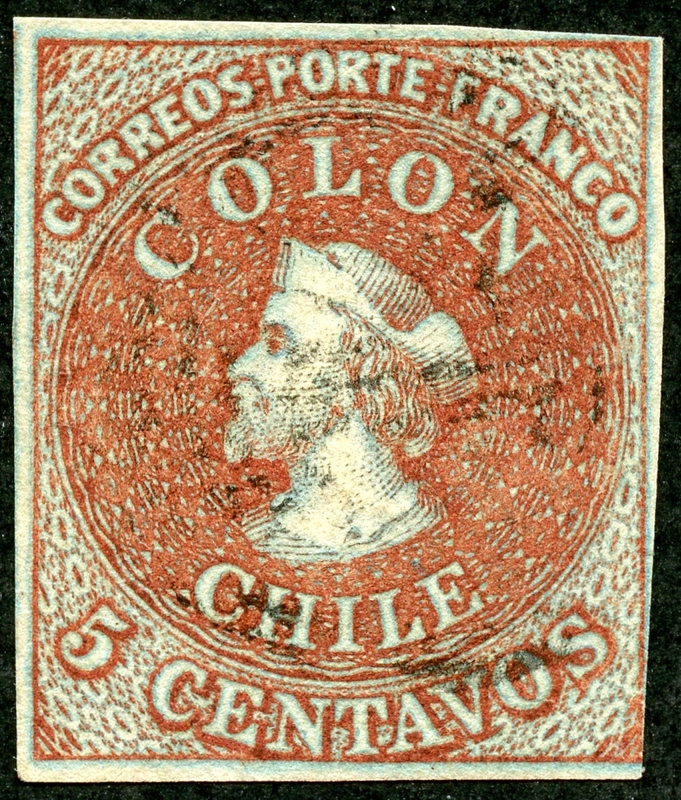 The "low hanging fruit" from feeder collections will not be as available, because I am no longer significantly weak in any major regional category, except perhaps for the Spanish colonies. But part of the reason I expect not to do as "well" this year is my goal for 2017 is a bit different. 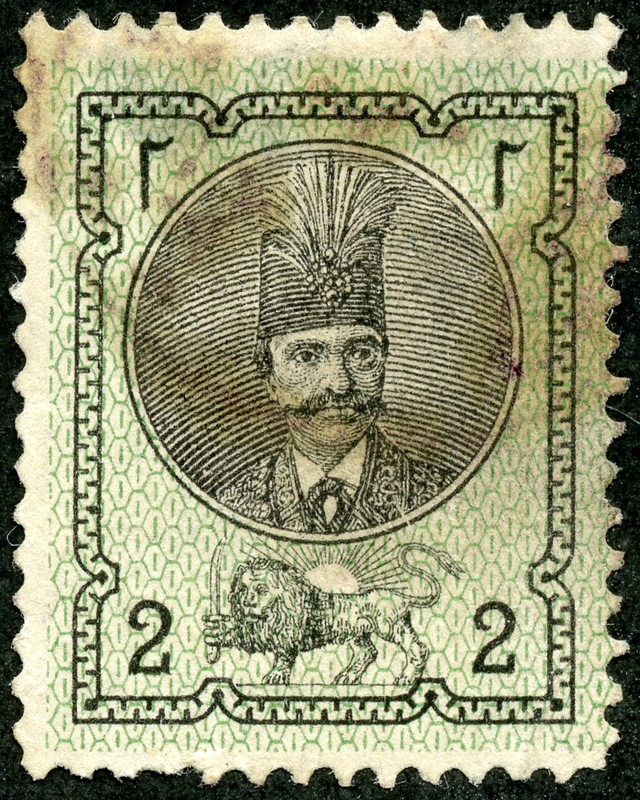 I have, left over, from pillaging the 1840-1940 era, many feeder albums/collections that have a significant amount of stamps from 1940-1967. They are perfectly wonderful specimens of " Les Semi-Modernes" era, as the Yvert catalogue like to put it, and I would like to place them into my new thick paper Minkus Global Supreme pages I've acquired from Amos Advantage/Scott this past year." Well,, that is exactly what happened, so not surprising in the least. !! With the virtual BB ~ 87% complete, and Deep Blue ~ 58% complete, the ability to add new stamps at the same quantity as before is not realistic. Rather, my purchases were additional country feeder albums. 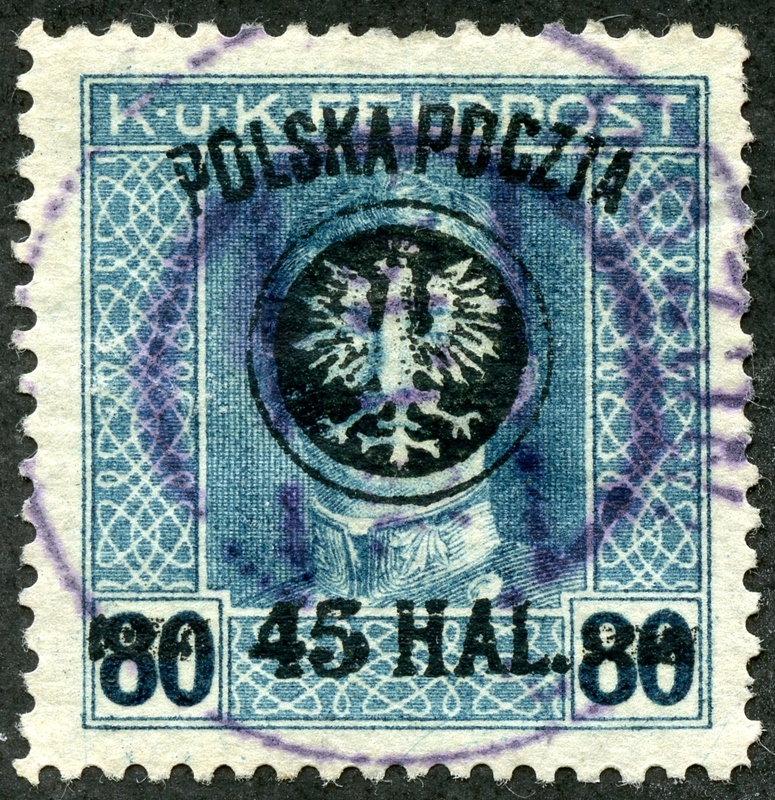 Although clearly, I added stamps to the "Deep Blue" album, an additional focus was expanding the WW collection coverage for the 1941-1969 years. For more, see my blog post - Beyond the Classic Blues - An Introduction. This expansion of my collection up to 1969 WW is still ongoing. The results are pleasing to me. 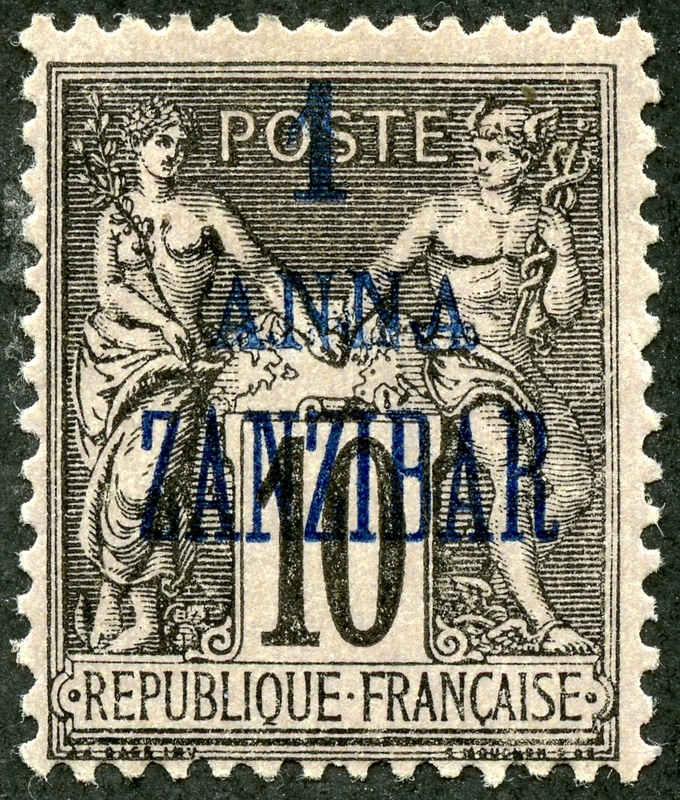 I am enjoying the stamps and the history they reflect. 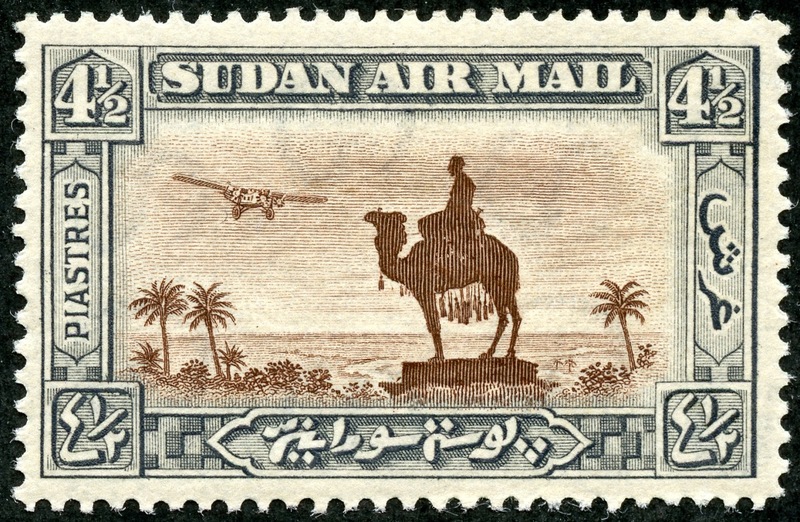 But I am having great fun with the 1941-1969 stamp era, and much of my current time is involved with transferring these stamps from feeder albums to "Big Red" (Minkus Global Supreme Albums). 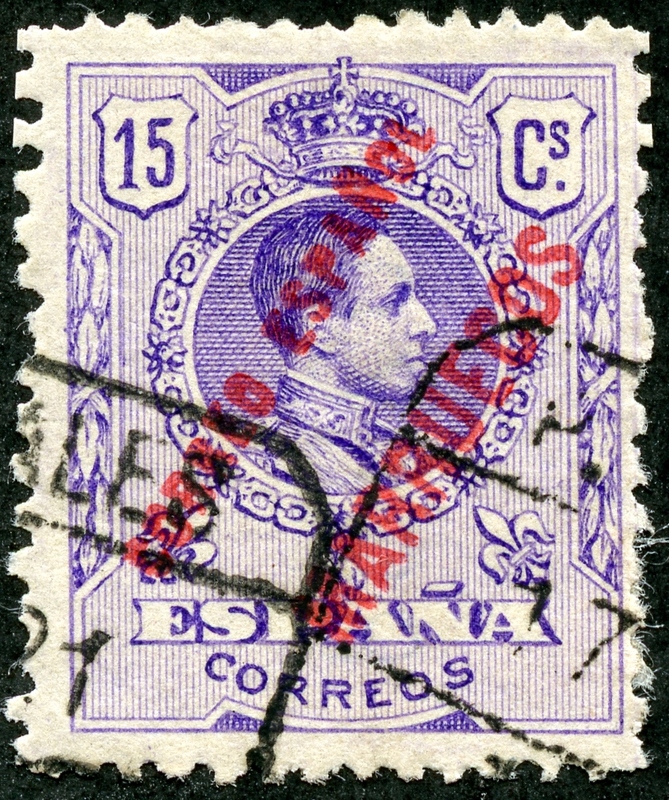 As far as the 1840-1940 (-1952 British Commonwealth) classical era, I am only short 1,400+ stamps from crossing the 50,000 stamp threshold. And the Big Blue virtual collection is over the 30,000 count this year! 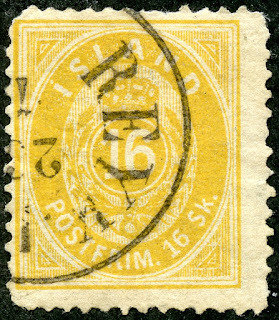 This coming year I expect the same trends: more 1941-69 stamps from feeder collections, and some additions to the 1840-1940 collection though want lists and perhaps through collection purchases. Cătălin, thanks for the year wishes, and hope likewise for you in Romania. Congratulations on your progress and happy new year Jim. Wondering if you could comment on how you inventory/database your collection? Happy new year to you too Chris. congrats on the collection progress Jim, 30000 stamps in Big Blue wow, only something I can dream of. 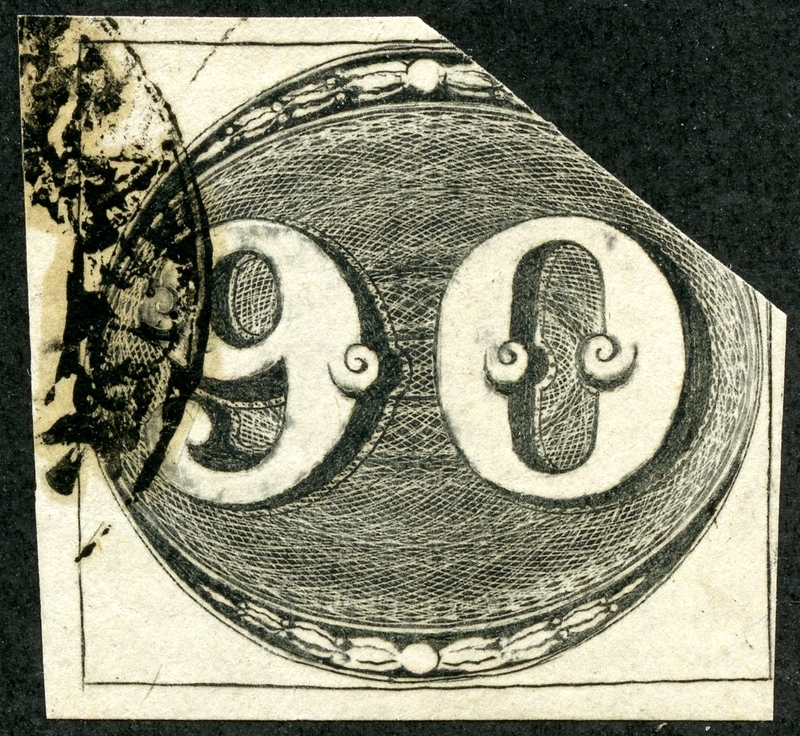 How many time do you normally spend on your stampcollection in a week? Can you comment on how you label your Vairo binders as to contents? I am considering converting my Steiner pages in Avery binders as you have, but the labelling seems unclear as to best course. Hi Roy - thanks for the kudos. I actually haven’t labeled the Vario binders as of now. The reason is I am still shifting some pages from one binder to another. When I arrive at the final arrangement, then I will label somehow. I haven’t decided yet how I will do it. There are some good ideas on the SCF threads. Or I may simply label by adding stamps rather than a written script. OK. Sorry if I seem dense, but what/where is 'SCF', I am a bit new to blogs actually, but plainly if they are half as helpful as yours, I am missing something. Appreciate your kindly help, and as many have said, keep it coming. Roy - Sorry for not explaining. They have a number of discussions on Vario binders if you do a search. There's also some good ideas on binder labeling on this blog if you look at the post, "An Unusual Approach to a Classical Period Album" down on the left side. Jim, a belated congratulations on reaching the 30K mark and for the detailed and always informative summary of your progress. Bob - Thanks so much. Jim, Wow, these are some might good looking stamps. I love em. Also, congratulations on your 30k mark. And glad you are pushing new boundaries with the Dead Countries recently.